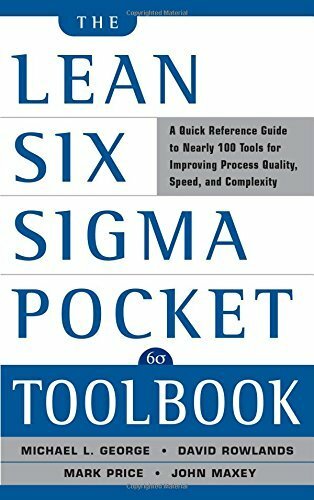 "The Lean Six Sigma Pocket Toolbook blends Lean and Six Sigma tools and concepts, providing expert advice on how to determine which tool within a 'family' is best for different purposes. Packed with detailed examples and step-by-step instructions, it's the ideal handy reference guide to help Green and Black Belts make the transition from the classroom to the field." --Resource description page.